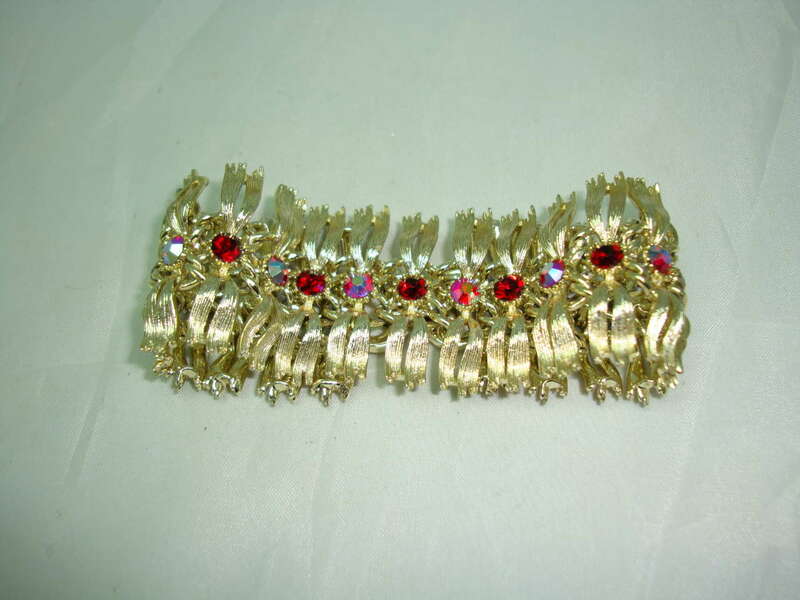 Stunning vintage 1950s Lisner wide articulated fancy link goldtone bracelet decorated with sparkling ab red diamante stones. 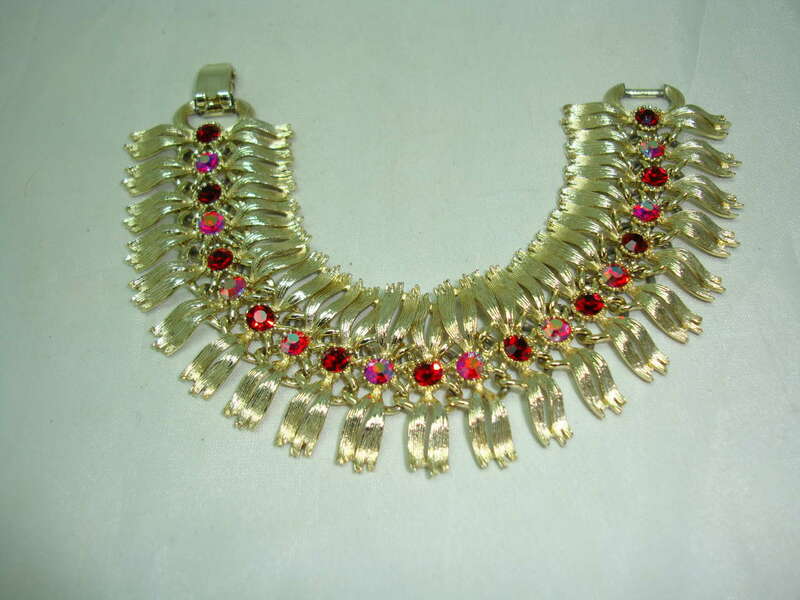 As you can see from the photos, the bracelet is in excellent condition, does not look like it has ever been worn, all stones intact, stamped Lisner on back on clasp alongwith copywrite sign. 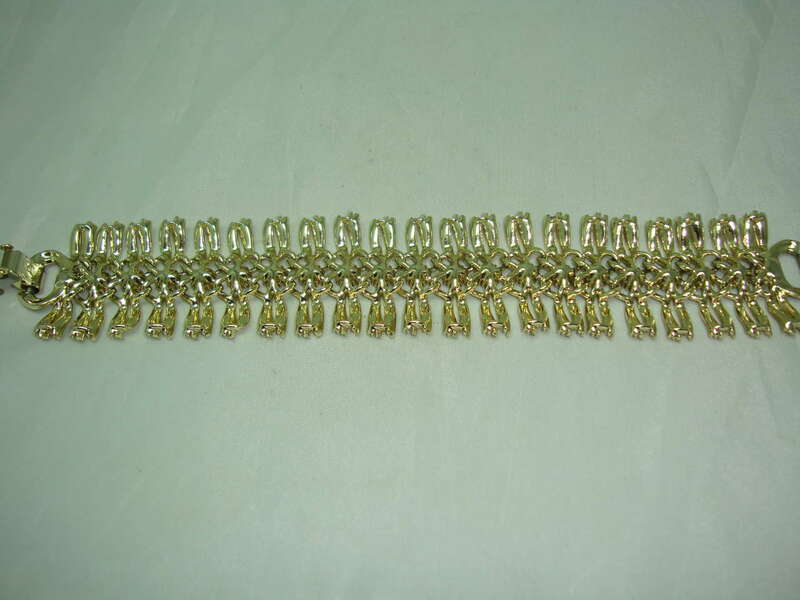 This really is a very stunning vintage bracelet, very wearable and very collectable, Lisner was renowned for producing well made, quality pieces of costume jeweller. 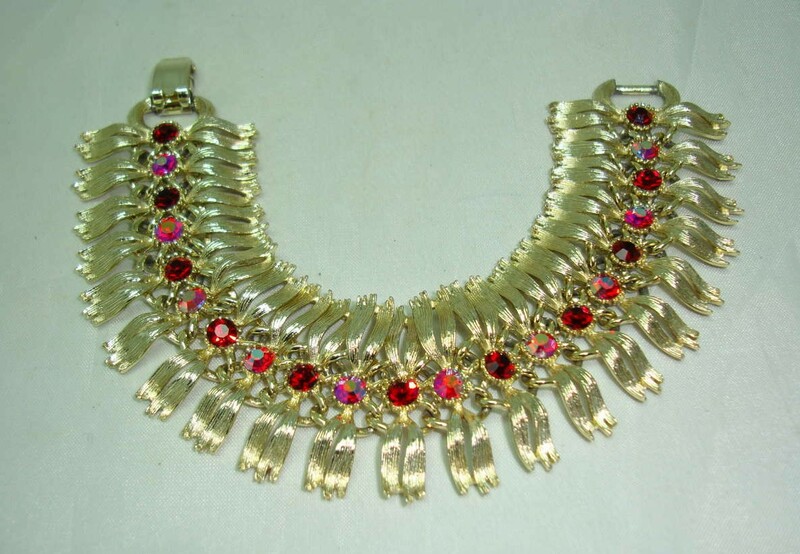 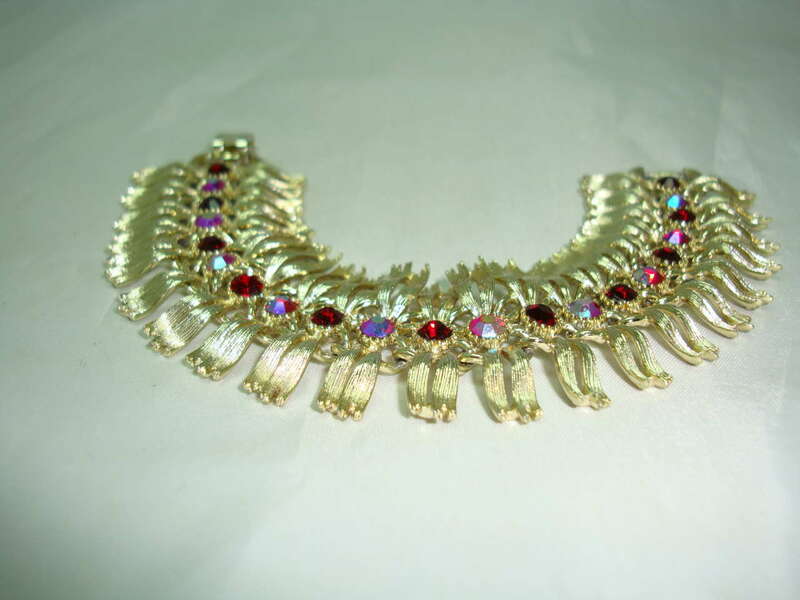 As a general note, the value of Lisner costume jewellery has surged over the last two years.